The Slow Readers Club are a Mancunian four piece who specialise in epic guitar-electro pop. 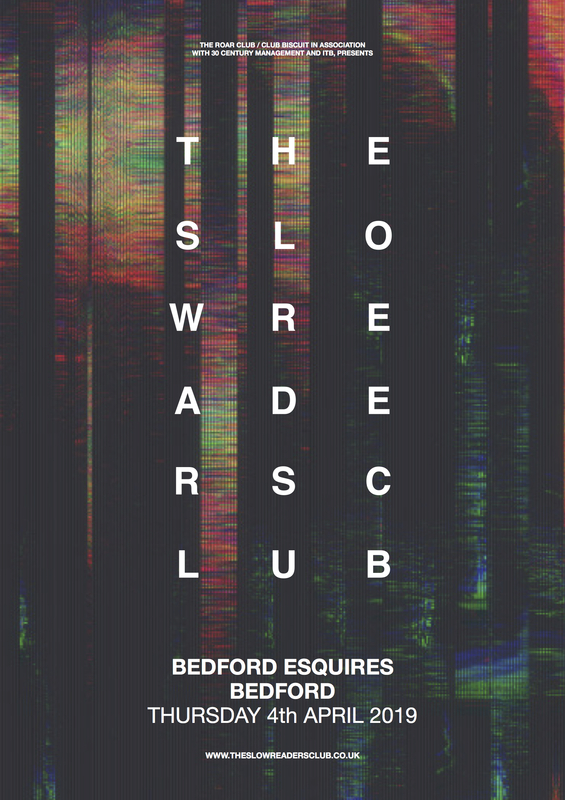 Regularly selling out huge venues in their native North West, including the 4000 capacity Manchester Apollo, we are delighted to bring them to the slightly smaller environs of Bedford Esquires! You might have caught them over the summer when they drew huge crowds at festivals including Isle Of Wight Festival, Kendal Calling, Victorious, Sounds Of The City, Dot to Dot, Beautiful Days and Festival No 6. The bands recent singles ‘Lunatic’ and ‘You Opened Up My Heart’ have been championed by on BBC 6Music by Steve Lamacq and recent album ‘Build A Tower’ charted at number 18 in the UK album charts. “Their Sound is timeless and classic, so big and anthemic. Most of their songs are instant anthems, you can see them playing stadiums in the future’ – John Kennedy, XFM.